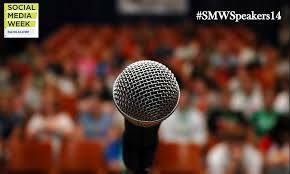 Bangalore is going to host the second edition of Social Media Week (SMW) in India. The global festival however made its debut back in the month of September last year. The idea behind celebrating this worldwide festival is to explore the social, cultural and economic impact of social media. The way social media is growing and influencing all the parts of the world, it really became important for us to have an event like this. In fact according to a recent study, 1 in every 4 individual on earth is accessing Social media. Besides, India with 66 million social media users is expected to overtake USA in terms of social media users by 2015. As far as the theme for this year’s festival is concerned, it is going be ‘Social Media for Social Change’. The global festival will be held from February 17th to 21st with seven other cities including Milan New York, Copenhagen, Lagos, Barcelona, Hamburg and Tokyo at the same time. SMW has grown to more than 100k members in 26 cities around the world in last five years. The fiesta is believed to attract over 5000 professionals from all over the world, including people from marketing and advertising, start-ups, entrepreneurs, brand management, management students and other communities of relevance and significance. Some of the prominent speakers who are expected to bejewel the event are Rishi Dogra, GM Marketing, PepsiCo India, Varun Agarwal, Author and Founder, Alma Mater, Neville Taraporewalla, GM India, Microsoft Advertising and Online, Kiruba Shankar, Blogger and Nikhil Dey, President, Public Relations, Genesis Burson-Marsteller. The event will be hosted and managed by R SQUARE Consulting, which is an integrated marketing services agency.